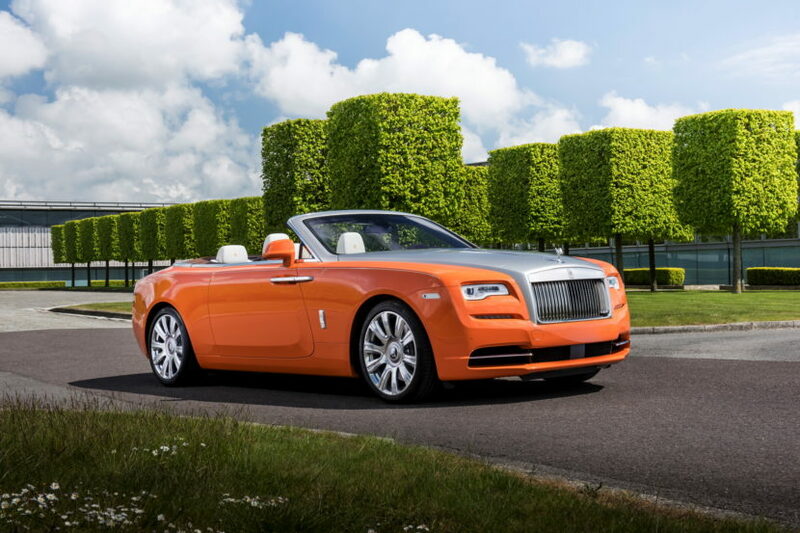 With its trademark opulence, luxury and absolute comfort, life doesn’t get more lovely than driving a Rolls Royce. Unless, of course, you’re driving a convertible Rolls Royce in beautiful weather. That’s about the pinnacle of driving bliss. That’s what Doug DeMuro does in this new video, as he takes a Rolls Royce Dawn out in La Jolla, California. The Rolls Royce Dawn is a stunningly beautiful car and one that literally anyone would be happy driving is some beautiful weather. In this video, DeMuro shows us all of its “quirks and features”, as per usual, and they’re basically the same quirks and features as every other Rolls, to be honest. So it gets the same rear-hinged doors as every other Rolls but these are on the front, as it only has two doors, much like the Wraith. One of the cool bits about the Wraith, though, is the fact that its umbrella is in the front fender with the door open. It’s actually a much better placement than typically found in other four-door Rolls’, where the umbrella is placed inside the door sill. Also, if you check the wood trim throughout the entire cabin, it’s quite possibly the most stunning wood trim in any car. Ever. It’s everywhere, is stunning and costs over $20,000. With the top down, there’s likely not a more enjoyable and relaxing convertible experience on the planet. It’s smooth, supple, calming and luxurious. There’s no sense of urgency or, dare I say, sportiness. In fact, I think if you use the terms “sporty” or “handling” or *gasp* “Nurburgring” in the Rolls Royce factory in Goodwood, you’d be hanged in the Tower of London. And you’d deserve it. I drove a Wraith Black Badge a year ago and I still talk about it. I’ve been dying to drive another Rolls and the Dawn seems like the sort of car that would tickle my fancy.